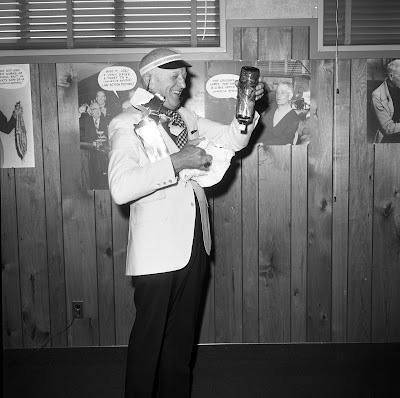 Today is Milt's 104th birthday. The photo was taken around June 25, 1974 at his "40th Anniversary with Disney Party" at the studio. 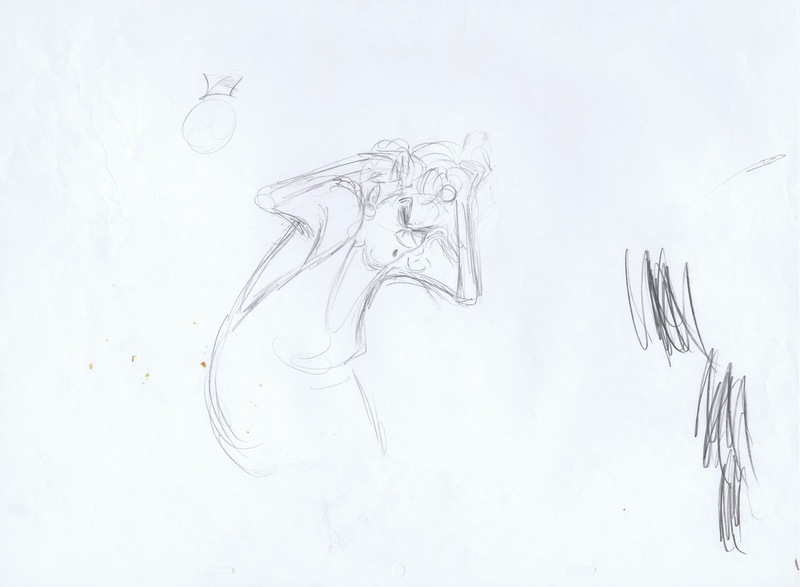 Milt is obviously enjoying goofy gifts from some of his colleagues. 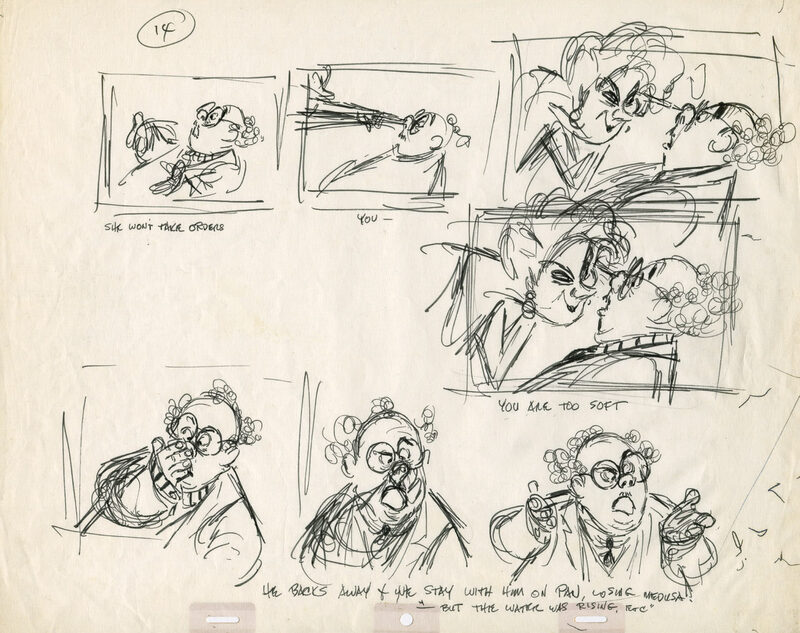 When I started at Disney I remember seeing a long printed panel that was made up for the occasion. 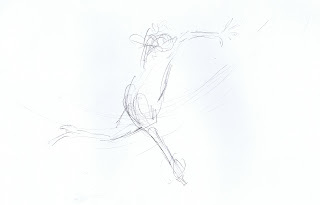 It was titled "40 Years of Kahl Characters" and showed many drawings from his long and astonishing career at the studio. 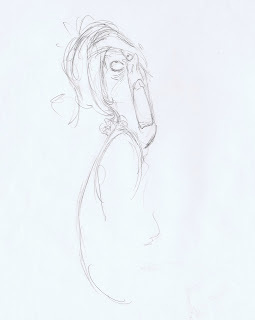 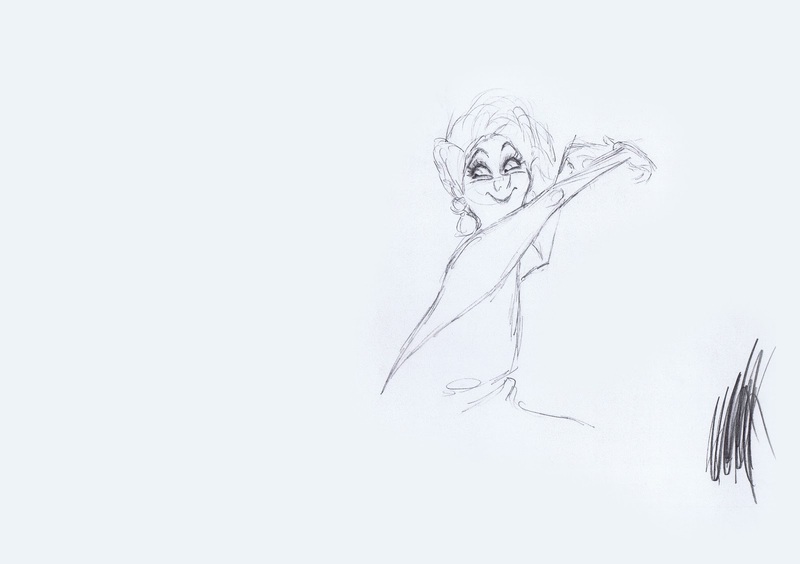 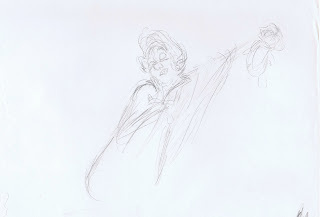 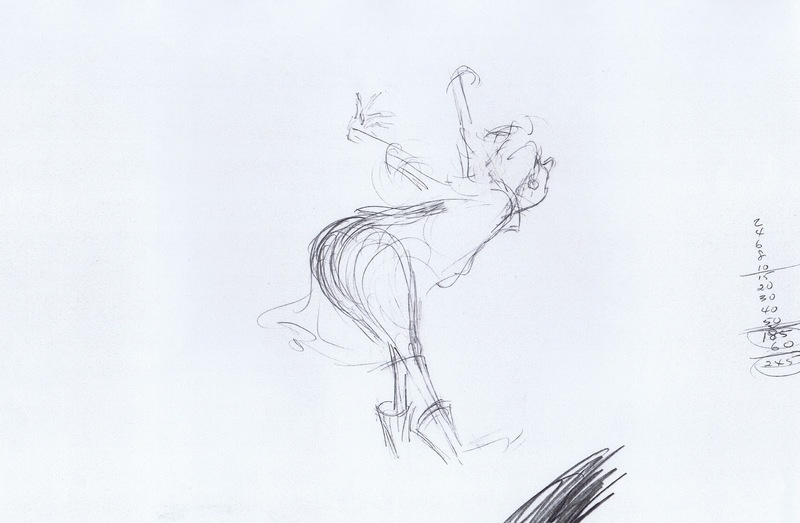 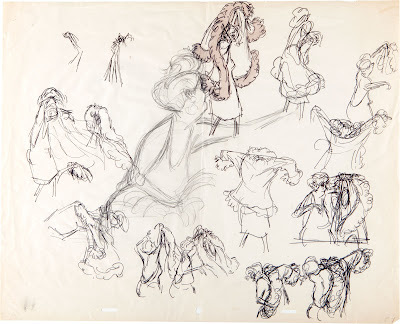 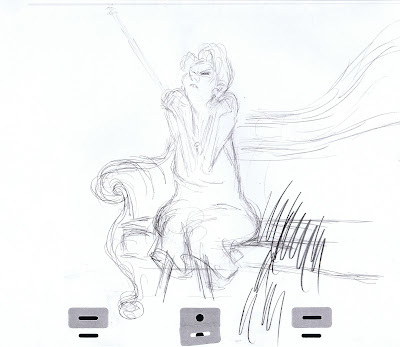 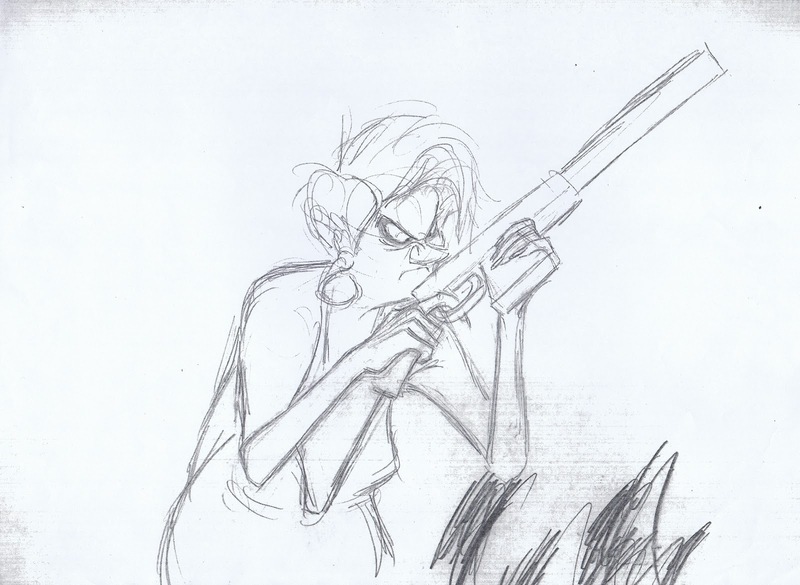 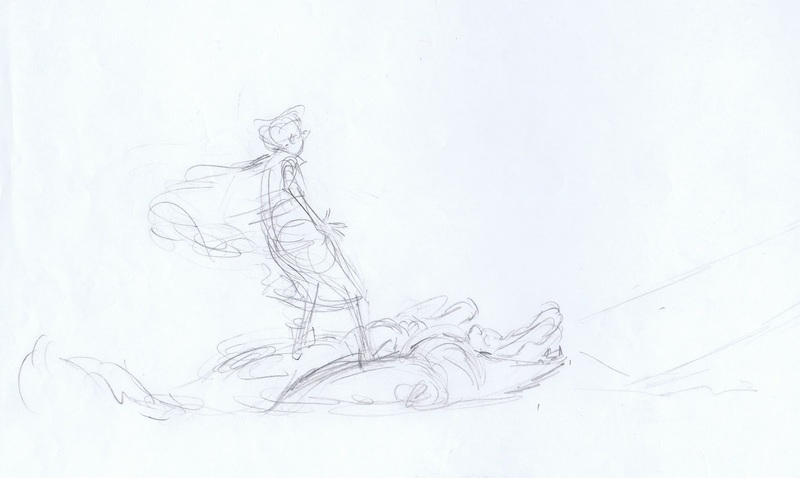 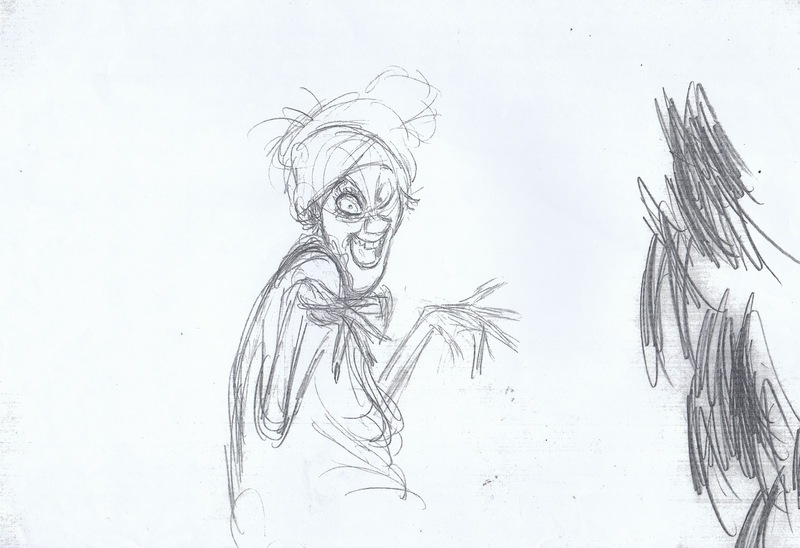 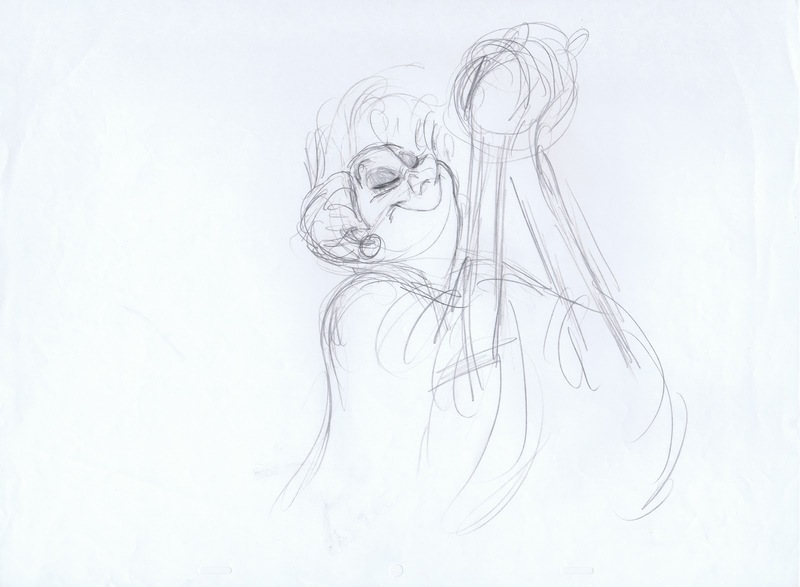 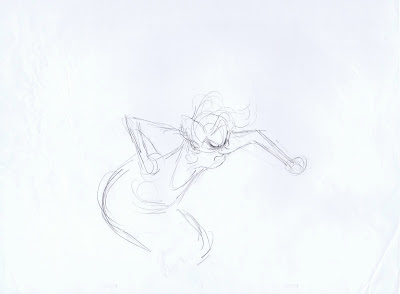 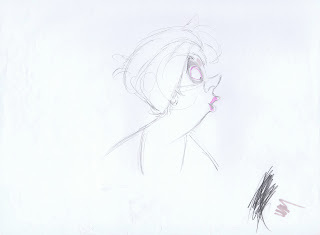 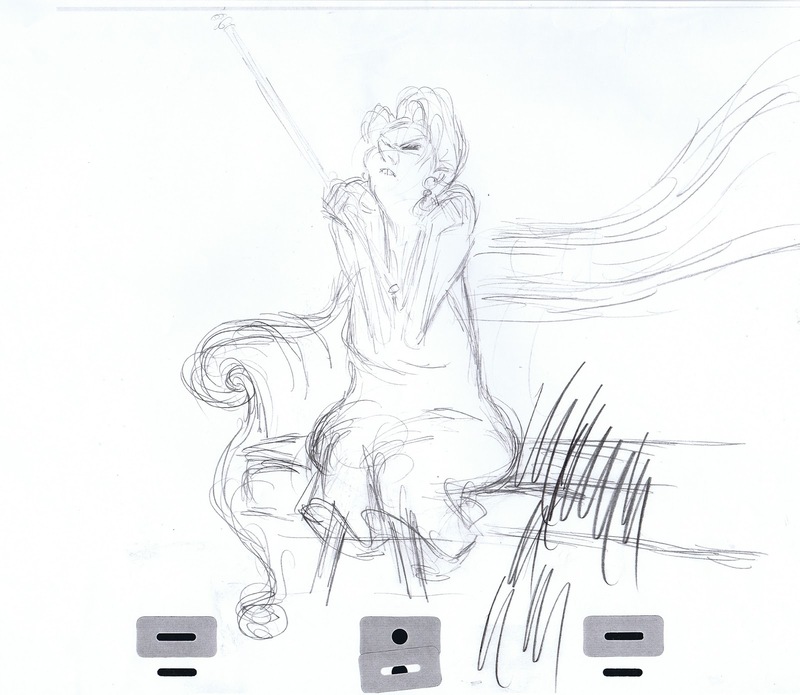 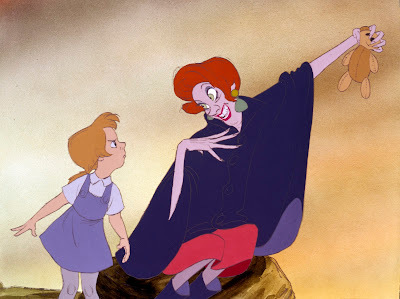 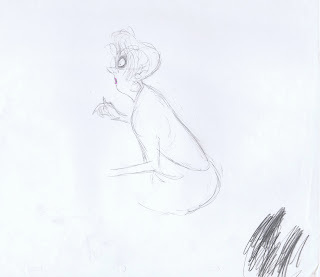 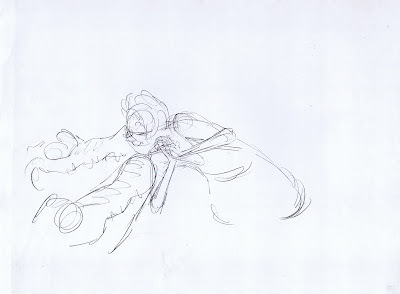 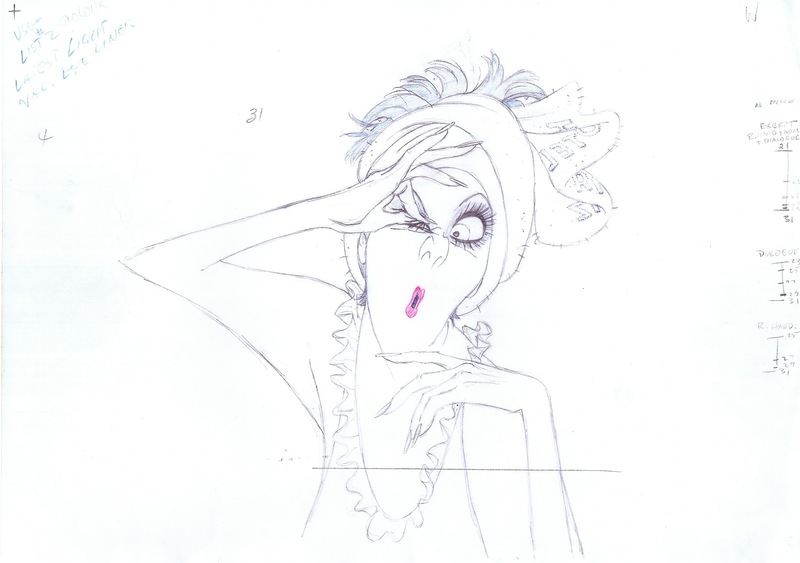 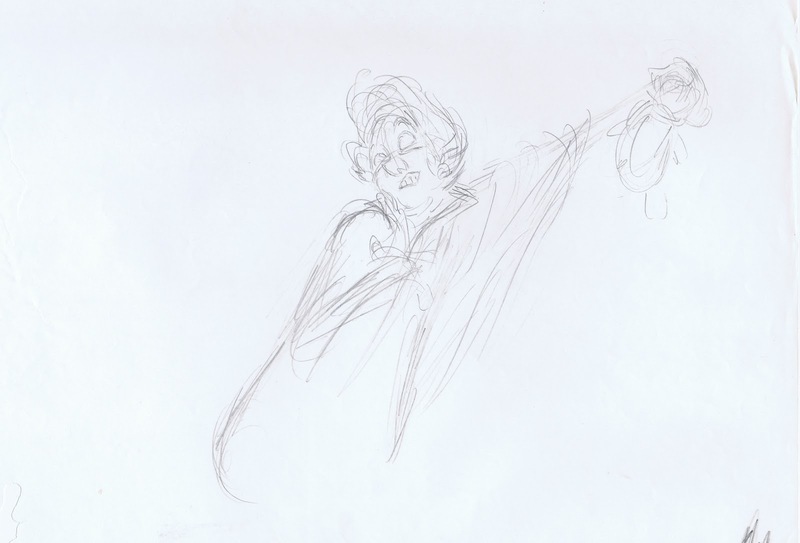 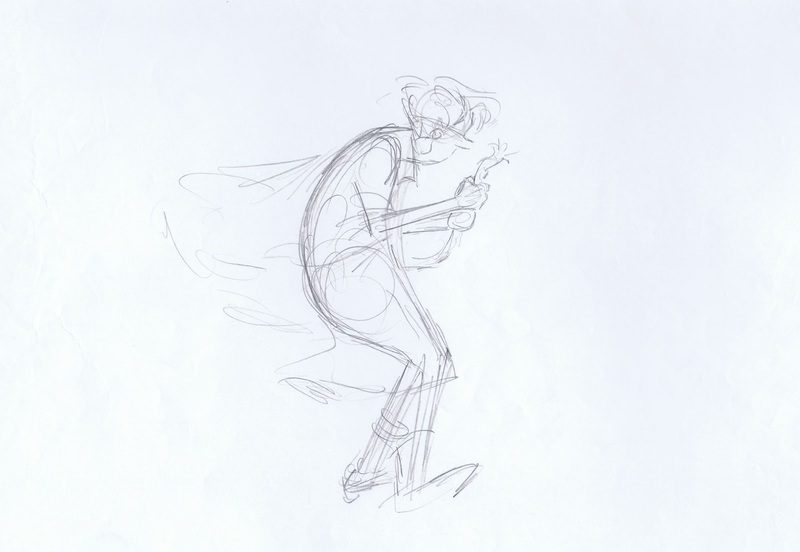 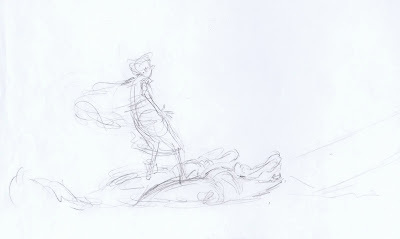 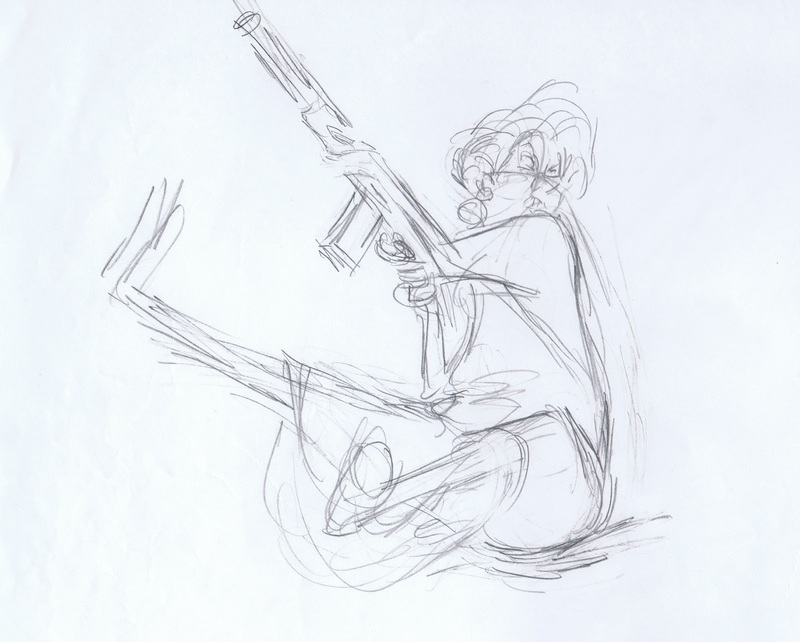 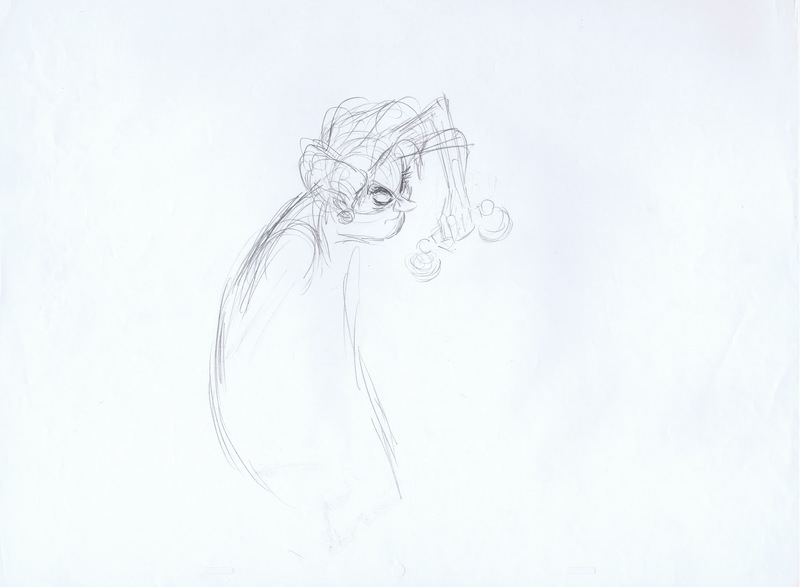 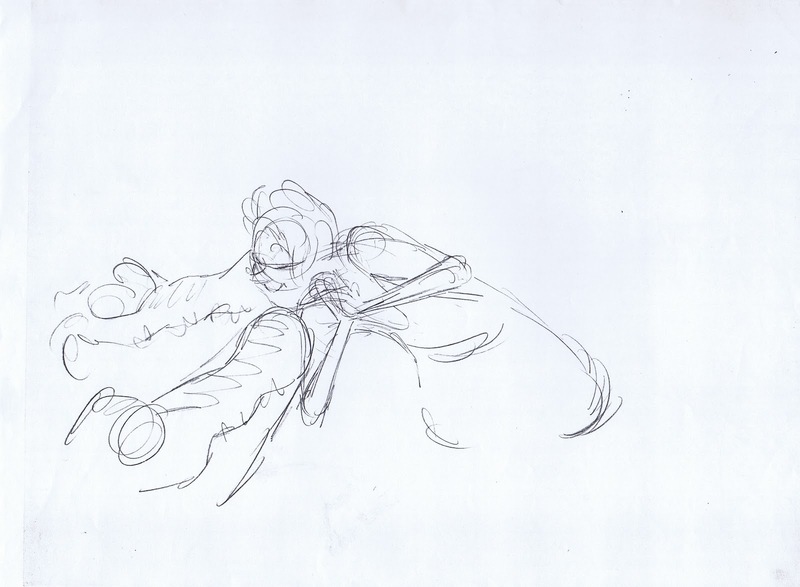 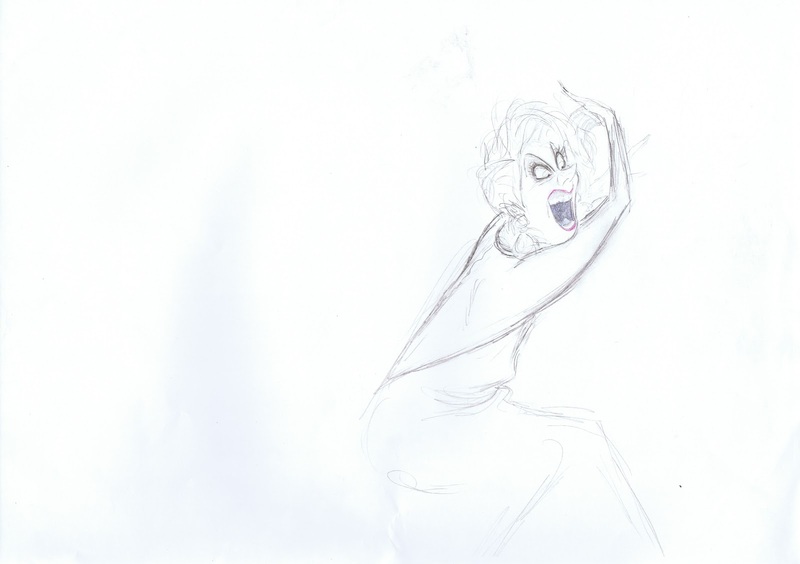 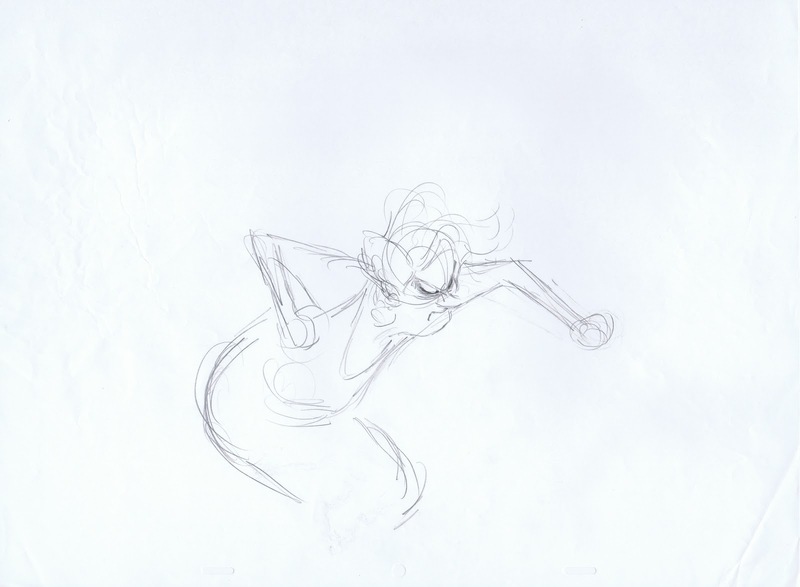 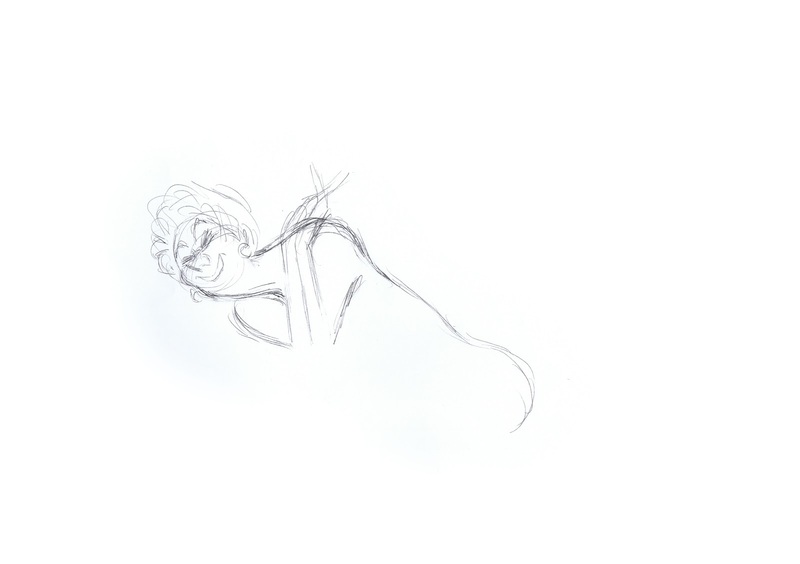 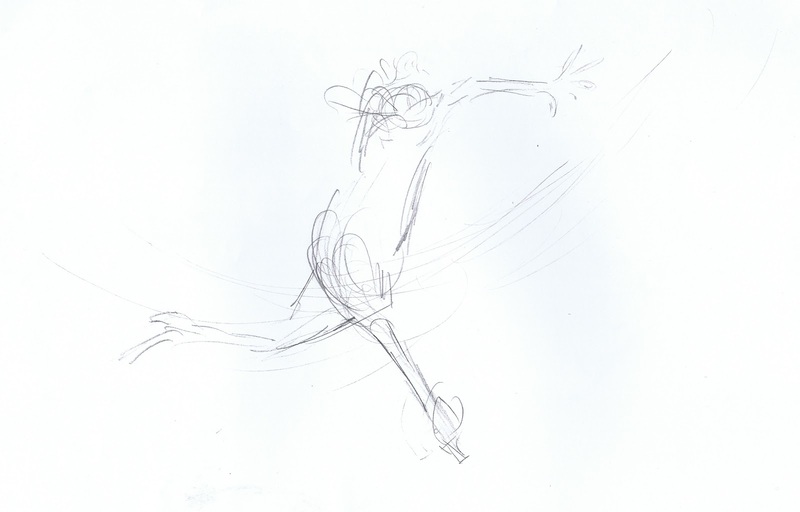 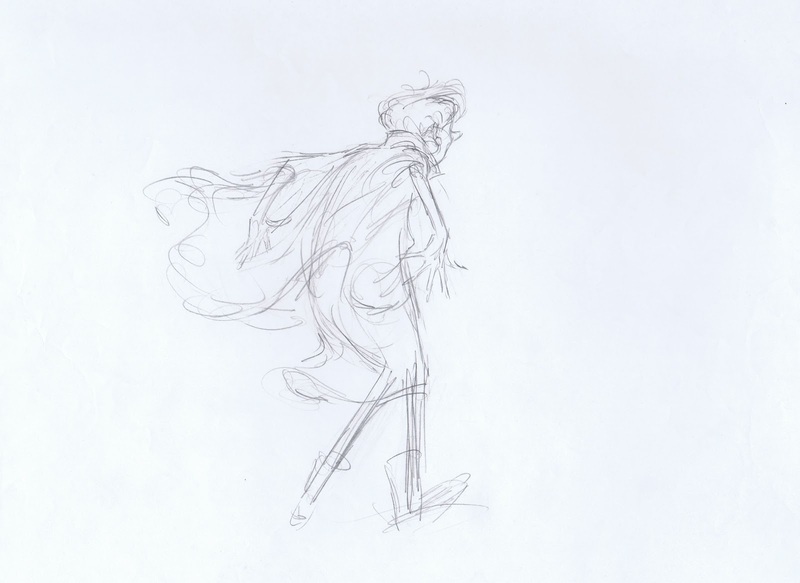 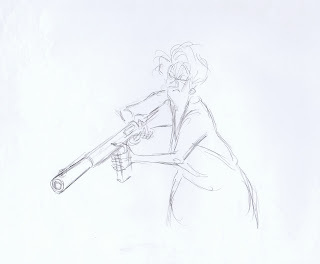 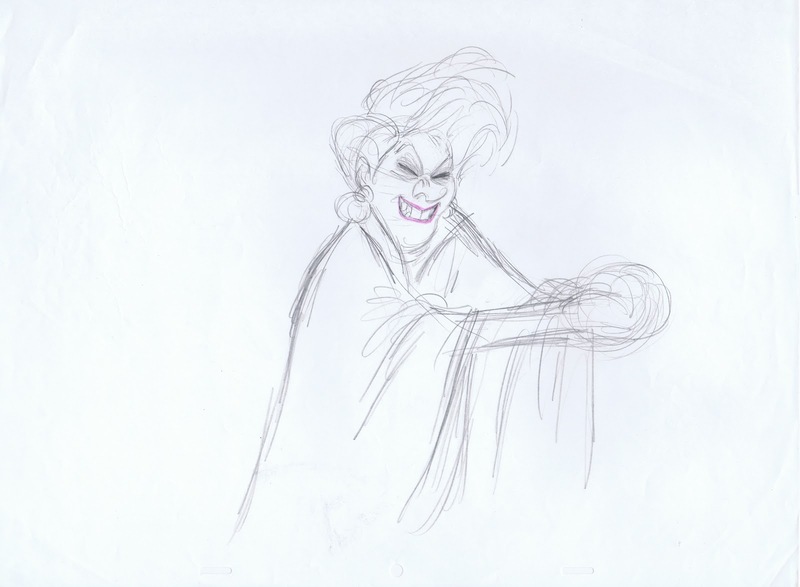 So this is a good enough excuse to post more of his roughs from his last animation assignment, Madame Medusa. 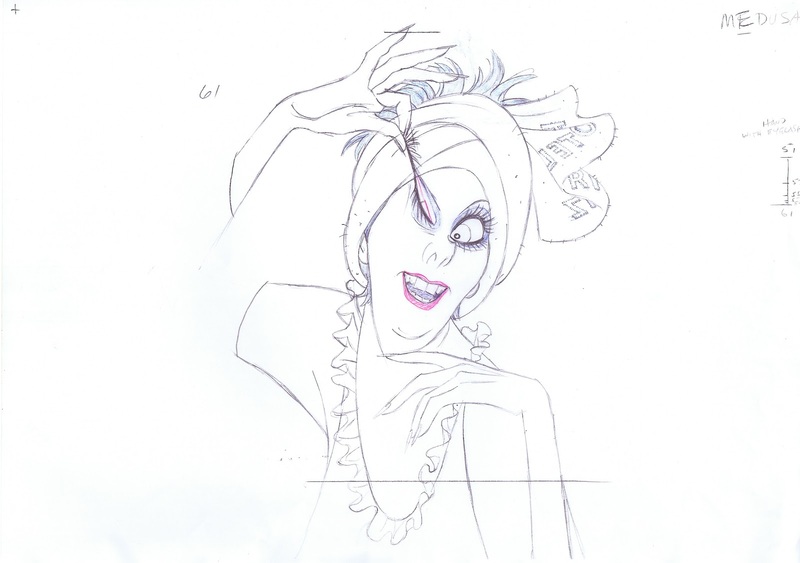 Except for the the eyelash scene, all of these drawings are throw aways. 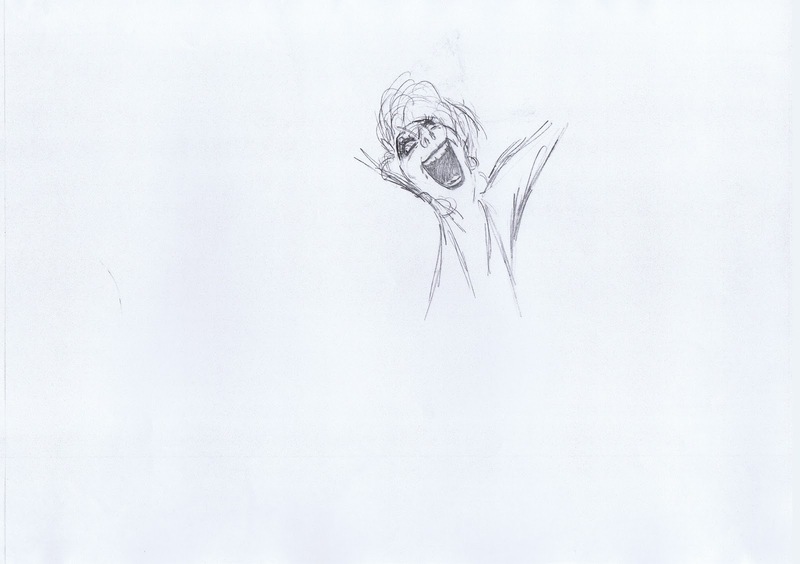 The final animation differs just a little from what you see here. 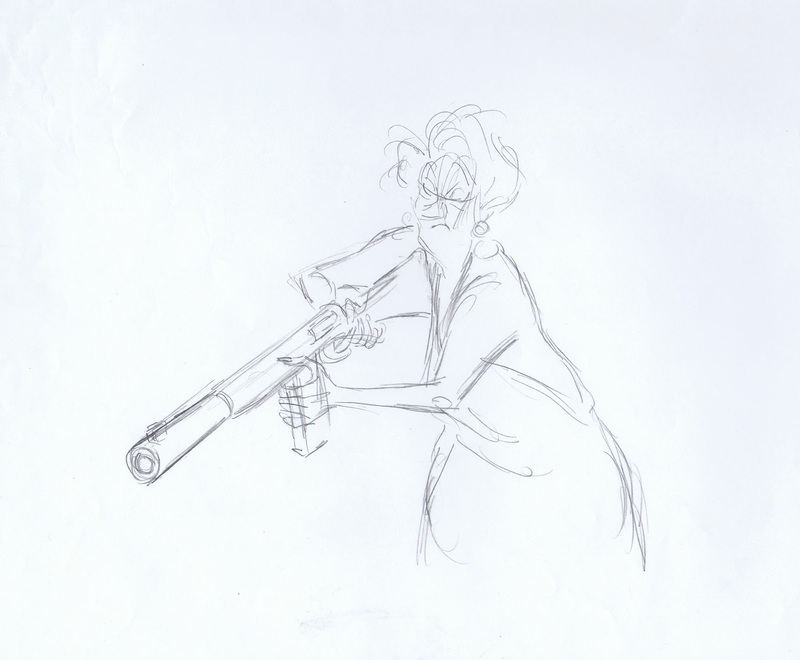 "I was always trying to get the most entertainment out of everything" Milt said, and that intense search for character comedy, inventive drawing and great animation is evident in the these images. 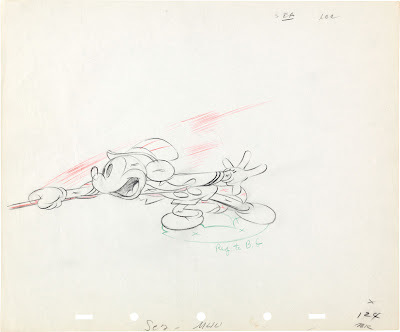 But let's start off with a drawing from one of the first scenes he ever animated for the short "Mickey's Circus" from 1936. 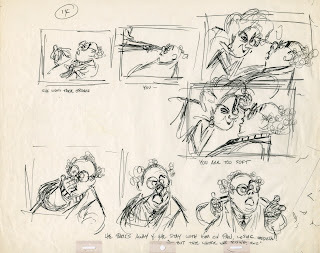 I posted a xeroxed image of this thumbnail page before, but this is a better scan. 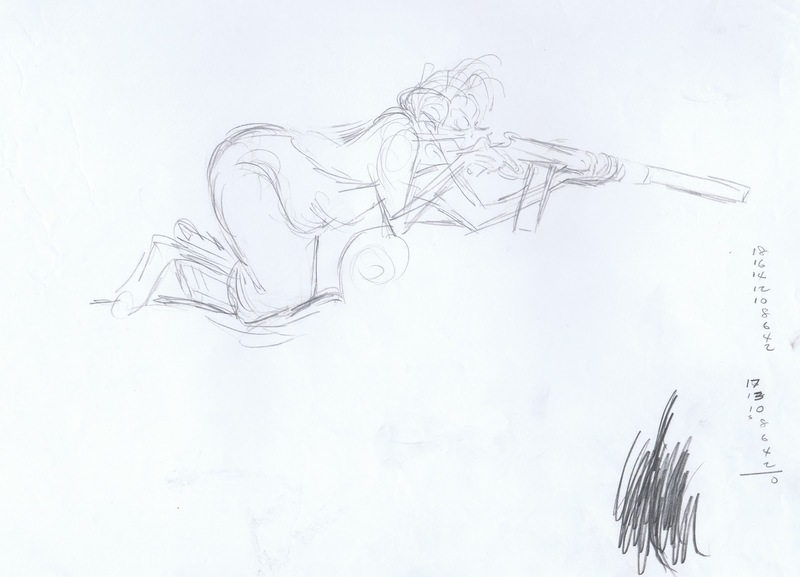 Both of these were a offered at auction recently.